Attendees to the All American Quarter Horse Congress are encouraged to reserve parking in advance of arriving to the fair grounds. Parking is offered at $15* all day every Monday, Tuesday, and Wednesday or $25* for all other days. Parking passes for the entire event are also available for $75*. Book your reserved parking early to ensure you have a guaranteed space for each day that you plan on attending the event. A guaranteed parking space will be waiting for you when you arrive. * Online transaction fees not included. The 52nd annual All American Quarter Horse Congress will be held on October 2-28 at the Ohio Expo Center & State Fair. The AAQHC is the largest single-breed horse show in the world, and largest event and convention in the Columbus area. Each year, the three-week show hosts more than 650,000 visitors and 7,500 horses. 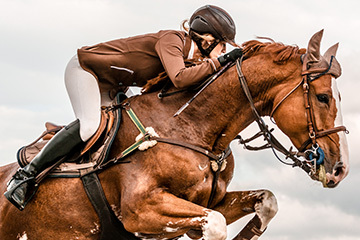 Horses and riders gather from around the world to compete in hundreds of classes ranging from barrel racing to cattle cutting, and from cowboy mounted shooting to horse jumping. Aside from competitions, the AAQHC also offers horse-related lectures and demonstrations, an array of fair food, and one of the world's largest equine trade shows featuring over 250 vendors selling products such as jewelry and farm equipment.